Thank you! It’s one of my all-time favorites pasta creations and this recent addition of mascarpone has added such a lovely layer. Buon appetito! That looks utterly delicious, like Autumn in a bowl! Indeed, Louisa! What’s funny is that it feels like summer here in New York! Ha! Thanks, Kat. You’re too kind. There are so many delicious entries. I’m just glad I got mine in right under the wire! However, this dish is probably my favorite ode to fall. Hope you enjoy it too! It’s squash time again! 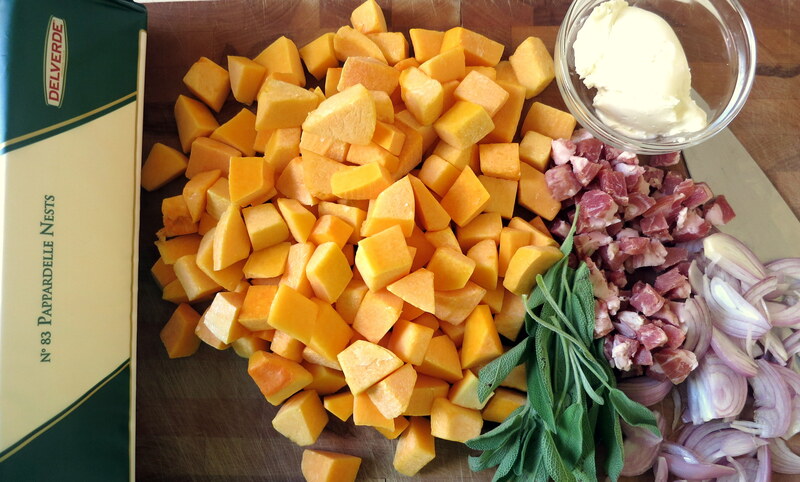 I have a recipe on my blog for one made with duck confit, butternut squash & sage! 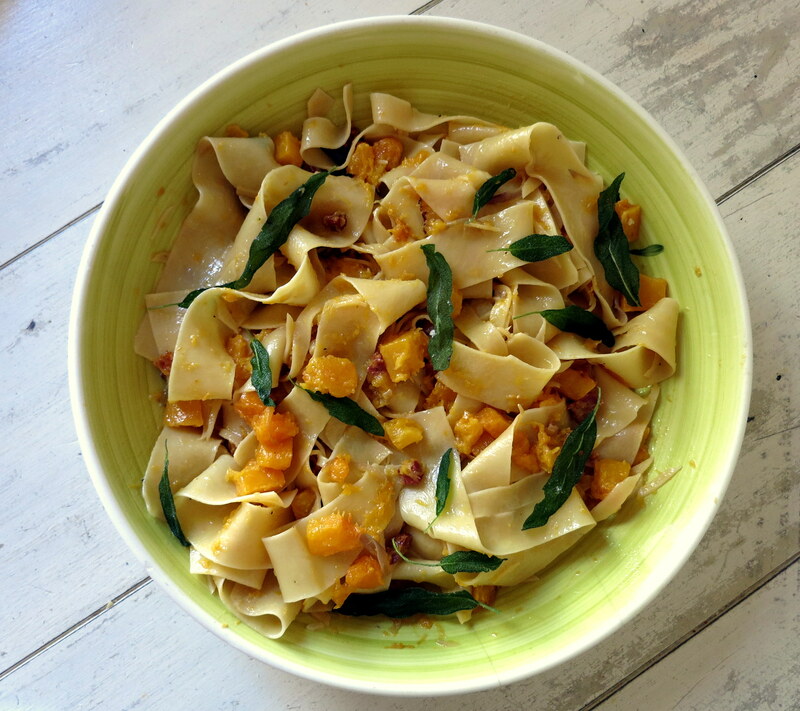 http://oracibo.com/recipe/phyllis-tagliatelle-with-butternut-squash-and-duck-confit/ Next time I make it, I will be frying the sage leaves like you have and trying with the mascarpone and reducing the amount of stock. I often add a dollop of butter at the end but I really like the slightly cultured taste mascarpone lends. Imported Italian butter here costs $30 for 500g! Looks delicious! Thanks Michelle! What a fab dish! This one say “It’s autumn!” to me. 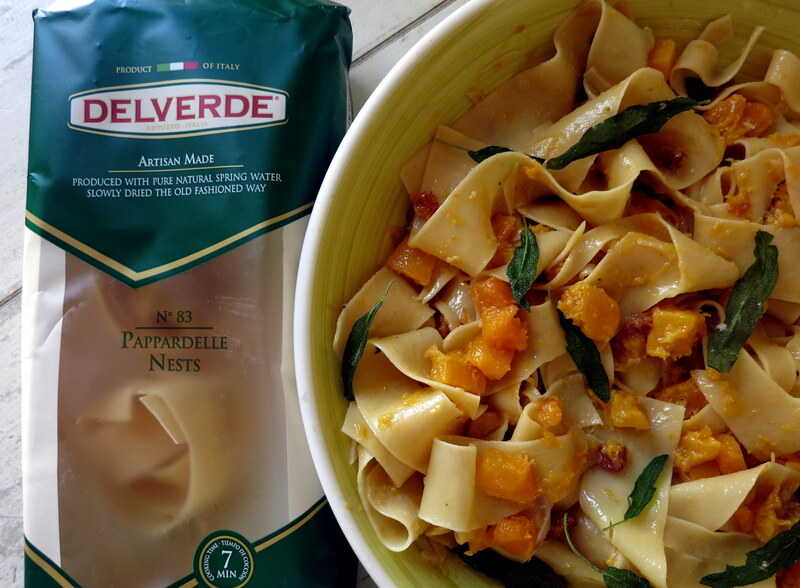 That pappardelle looks great – light and tender. 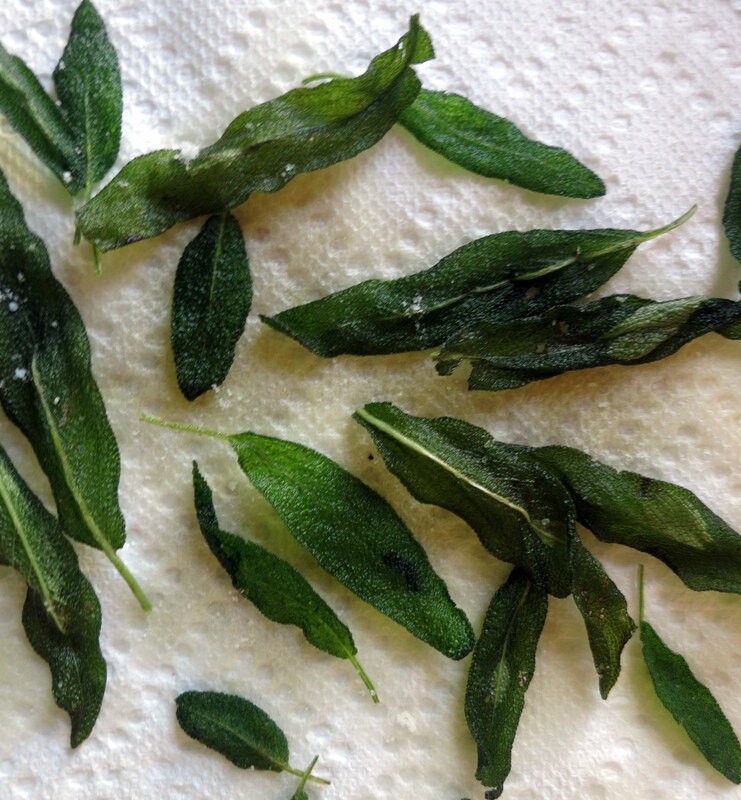 I love th elittel chnks of squash, and the sage is perfect. Thank you so much for the shout out. What kind words. I am truly flattered. Best of luck in the contest. I bet the judges are going to like this one. I have to say that all of us participating in the same thing has been great fun. We need to do more of this. Thanks, Adri. So glad you thought of me. I’d never done this sort of thing before, but it was fun to get a little creative in the kitchen and see what other lovely and tasty dishes others shared. As for mascarpone, I’m also a big fan. The dish in Florence I enjoyed consisted of pappardelle, zucchini and tomatoes. I couldn’t put my finger on what made it only slightly creamy and asked the waitress. Eccolo, mascarpone! Yum! Any tips for something to replace the pancetta for a veggie version? Long live artisinal pasta producers; none of that Barilla nonsense! Thank you! 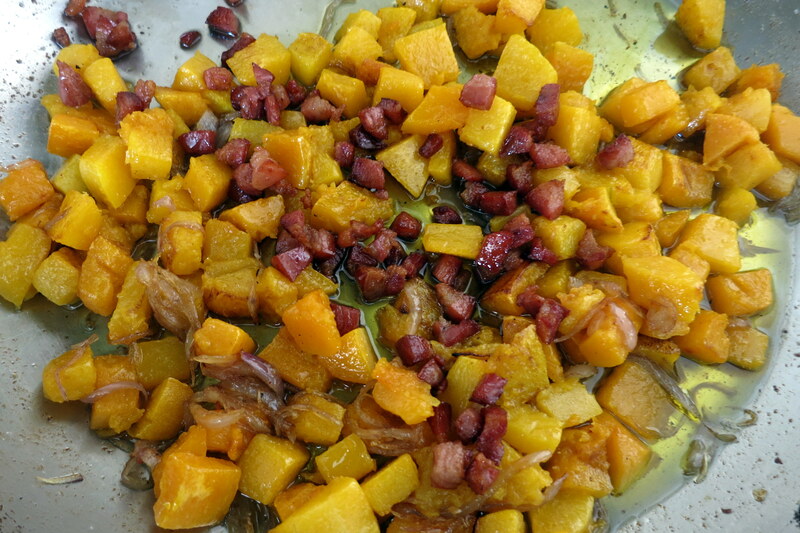 The pancetta adds a saltiness that is needed to balance the sweet butternut squash and caramelized shallots. As an alternative, how about some sliced (and aggressively seasoned) shitake mushrooms that are either fried or roasted in olive oil until they get an almost crispy crust? I think they would pair beautifully here and would certainly be in keeping with the fall flavors of the dish. As for the artisans, evviva! If you haven’t already done so, have a look at http://www.gustiamo.com for some truly incredible artisanal Italian products. Barilla really turned me off when they entered into a collaboration with McDonald’s last year. This latest episode truly adds insult to injury. Fantastic, will give it a try as soon as I see the first pumpkins in the shops. And I’ll check out that website. Thanks a lot! 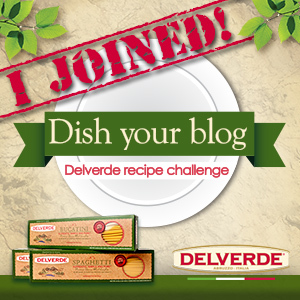 OMG – I’m throwing out my recipe and making yours. This is a fabulous combination of flavors and textures. I can’t wait to try this – it’s a real winning recipe. Good luck with the contest. You’re too funny, Linda! I’ve had a draft of this recipe written for about three weeks and nearly trashed it when I saw your lovely dish!! I’ve been making this for years but the mascarpone trick I learned this summer took it to a new level. The simple genius of Italians in the kitchen never fails to amaze me. Good luck to you as well! I am definitely going to try this. Looks amazing!